The House of Representatives, Saturday, raised its meeting to Sunday. A reporter, Alsumaria News, said that the Speaker of the House of Representatives Mohamed Halbusi raised the session of the House of Representatives held today, to Sunday. 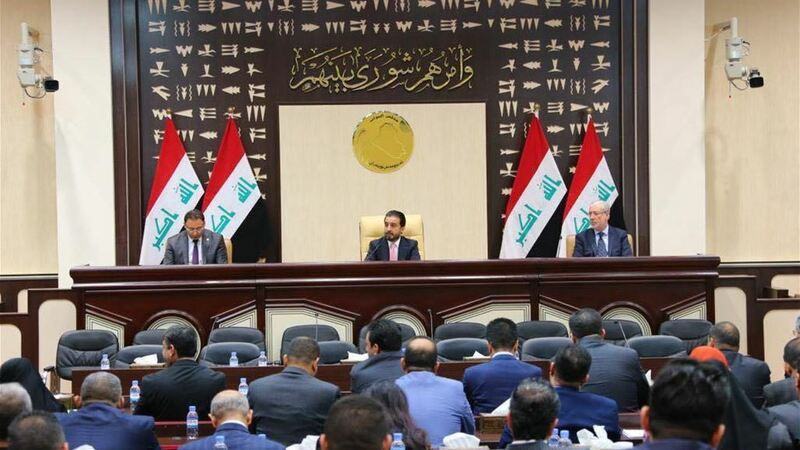 The parliamentary speaker Mohamed Halbosi Khalbal said today that the work of the parliamentary committees will continue under the chairmanship of the oldest, indicating that this will continue until the election of a president and his deputy and a Rapporteur of the Committee. On Saturday, the House of Representatives held its regular session under the chairmanship of Halabousi and the presence of 176 deputies. The agenda included completing the vote on the amendment of the rules of procedure of the House of Representatives and presenting a general topic for discussion in the presence of a representative of the Ministry of Finance and a representative of the Ministry of Displacement and Migration.